Biography: Ying Tan is a full professor and PhD advisor at the School of Electronics Engineering and Computer Science of Peking University, and director of Computational Intelligence Laboratory at Peking University. He received his B.Eng from Electronic Engineering Institute, M.S. from Xidian University, and PhD from Southeast University, in 1985, 1988, and 1997, respectively. Then a postdoctoral fellow and associate professor at University of Science and Technology of China. He worked at Chinese University of Hong Kong in 1999 and 2004-2005. He was an electee of One Hundred Talent Program of China Academy of Science (CAS) in 2005. He is the inventor of Fireworks Algorithm (FWA). Ying Tan is a full professor and PhD advisor at the School of Electronics Engineering and Computer Science of Peking University, and director of Computational Intelligence Laboratory at Peking University. He received his B.Eng, M.S., and PhD from Southeast University, in 1985, 1988, and 1997, respectively. He was an electee of One-Hundred-Talent-Program of China Academy of Science (CAS) in 2005 and the inventor of Fireworks Algorithm (FWA). He serves as the Editor-in-Chief of International Journal of Computational Intelligence and Pattern Recognition (IJCIPR), the Associate Editor of IEEE Transactions on Evolutionary Computation (TEC), IEEE Transactions on Cybernetics (CYB), IEEE Transactions on Neural Networks and Learning Systems (NNLS), International Journal of Swarm Intelligence Research (IJSIR), International Journal of Artificial Intelligence (IJAI), etc. He also served as an Editor of Springer’s Lecture Notes on Computer Science (LNCS) for 20+ volumes, and Guest Editors of several referred Journals, including IEEE/ACM Transactions on Computational Biology and Bioinformatics, Information Science, Softcomputing, Neurocomputing, Natural Computation, IJSIR, IJAI, etc. He is an IEEE senior member and a member of Emergent Technologies Technical Committee (ETTC) of IEEE Computational Intelligence Society since 2010. He is the founder general chair of the ICSI International Conference series since 2010. 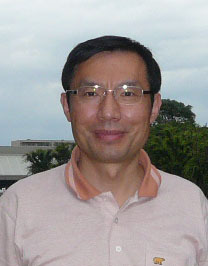 He won the 2nd-Class Natural Science Award of China in 2009. 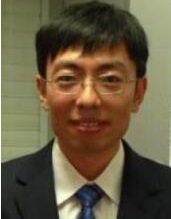 His research interests include computational intelligence, swarm intelligence, swarm robotics, data mining, pattern recognition, intelligent information processing for information security, etc. He has published more than 280 papers in refereed journals and conferences in these areas, and authored/co-authored 11 books and 12 chapters in book, and received 4 invention patents. Biography: Jie LI is a professor in computer science in Division of Information Engineering, Faculty of Engineering, Information and Systems, University of Tsukuba, Japan. He has been a visiting Professor in Yale University, USA, Inria Sophia Antipolis, France and Inria Grenoble-C Rhone-Aples, France during the sabbatical year in September 2014 through August 2015. His research interests are in Intelligent Mobile and Ubiquitous Computing, Networking, and Security, Internet Computing and Networking, Big Data, Cloud, network security, OS, modeling and performance evaluation of information systems. He is a senior member of IEEE and ACM, and a member of IPSJ (The Information Processing Society of Japan). He is the founding chair of the IEEE Technical sub-Committee on Big Data (TSCBD), ComSoc. Dr. LI received the B.E. degree in computer science from Zhejiang University, Hangzhou, China, the M.E. degree in electronic engineering and communication systems from China Academy of Posts and Telecommunications, Beijing, China. He received the Dr. Eng. degree from the University of Electro-Communications, Tokyo, Japan. 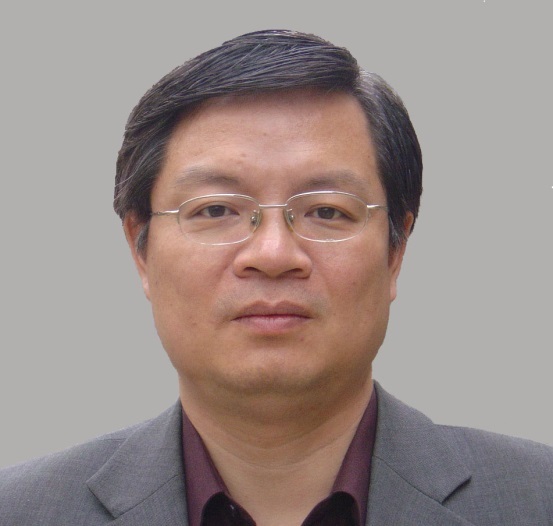 Dr. LI has served as a guest editor for many international journals such as IEEE JSAC and IEEE Network recently. He has served as a secretary for Study Group on System Evaluation of IPSJ and on Steering Committees of the SIG of System EVAluation (EVA) of IPSJ, the SIG of DataBase System (DBS) of IPSJ, and the SIG of MoBiLe computing and ubiquitous communications of IPSJ. He has served on several editorial boards for the IPSJ Journal and many international professional journals. He has also served on the program committees for several international professional conferences. Biography: Prof. Weigang Wu received the B.Sc. degree in 1998 and the M.Sc. degree in 2003, both from Xi’an Jiaotong University, China. He received the Ph.D. degree in computer science in 2007 from Hong Kong Polytechnic University. He is currently a full professor at the school of data and computer science, Sun Yat-sen University, China. His current research interests include cloud computing, big data, and blockchain. He has published about 100 papers in major conferences and journals. He has served as a member of editorial board of several SCI journals. He is also an organizing/program committee member for many international conferences. He is a member of the IEEE.